Time is precious! Wearing a watch on the wrist is more than a fashion for people. With advancement in technology, the utility of watches has gone way beyond keeping a track of time. With smartwatches and smartphones, you are always in touch with your friends and family. With smartwatch on your wrist, you get notifications of calls and messages, alerts of meetings, appointments and you always stay in touch with loved ones even if your phone is not in your hand. In some watches, you can also answer calls, isn’t it amazing? 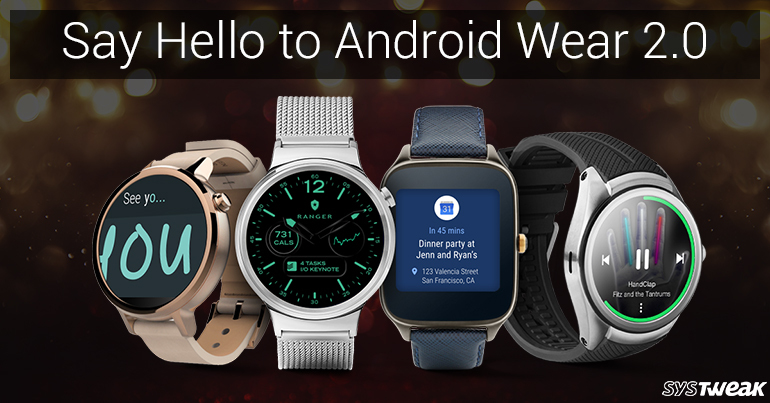 In this post, we have listed some of the best smartwatches available for Android. It is one of the most attractive smartwatches with rotating crown and sleek design. It enables you to manage your notifications in a better and improved way with Android 2.0. It has an on-watch keyboard for giving responses and works with Google Assistant for interacting. The screen of the gear is coated in Gorilla Glass 3 with a resolution of 360 x 360 pixels, giving it a sturdy look. It has a 3G option with e-SIM technology and also works on NFC for mobile payments. It has 250mAh Li-ion battery and has a life of 2-3 days. It supports Wireless charging and has an Optical heart-rate sensor as well. When you scroll through your home screens, widgets provide you useful information such as current heart rate, the current weather, and your step count. You can reply to texts and play your favorite songs. With the smartwatch, you can track your heart rate, daily activity levels, water vs caffeine intake and also counts the steps. Samsung has partnered with amazing apps such as Spotify, ESPN, Uber, Alipay, Voxer and more to make things happen seamlessly. Whether it’s for leisure, work or sports Keoker KW18 SmartWatch is the smartwatch that you can prefer. What makes it more attractive is the price $75. Let’s check out the specifications and features of this awesome smartwatch. It has 64 MB RAM with 128 MB ROM. It also has a TF card slot with 16 GB capacity. It works on Bluetooth version V4.0. It supports 7 languages English, French, German, Italian, Portuguese, Spanish, Russian. The watch has G sensor, a pedometer which records your calories and counts your steps. The gear has sim slot for messages, notifications, and calling. It supports dial, hands-free, and keeps phone records, the phone book and more. With a sporty look and style, Polar M600 matches up with your active lifestyle and hence this one has to be on the list of the best smartwatches available for Android. With MediaTek MT2601 Polar M600 has Dual-Core 1.2GHz. It has 512MB RAM with 4GB storage. It has 1.3-inch 240 x 240 transmissive TFT display. It is IPX8 water resistant. It has 10 hours GPS-on battery life and 2 Days GPS-off battery life. It counts your daily steps, gives inactivity alerts and it has GPS sports tracking as well. It helps you to manage Calls, smartphone and calendar notifications.It has voice and music control in it. With the gear, you can work with apps like Strava, Runtastic, Endomondo, Under Armour Record and keep you stay focused and fit. You can respond to emails and texts and it can also give you weather updates. It has a lot of sensors like Magnetometer and Barometer compass, altimeter, and tide graph and more. It has GPS and Wi-Fi connectivity. The battery stays for a day. It has 1.32-inch dual-layer LCD 320 x 300 display. It supports positioning data from three satellites American GPS, Russian GLONASS and Japanese “MICHIBIKI” QZSS. It displays the current location based on positioning information received from GPS satellites. With this smartwatch, you can record specified points, display the route of your activities and discover a wide range of other uses for your outdoor activities. It works well with Google Assistant, Google Fit, Google Play Music, Google Translate and more. It has 1.4-inch AMOLED display with 400 x 400-pixel resolution. It has an Optical heart-rate sensor. It has Stainless-steel body with 11.3mm thickness Sapphire Crystal glass screen. It has 1.2GHz Qualcomm Snapdragon 400. It has 512MB RAM and storage of 4 GB. It works great in notifying you about the incoming alerts, you can swipe through, dismiss or act upon certain notifications. You can check calls and respond to messages on your smartwatch. It helps you to deliver your commuting info, directions, timely reminders and more. 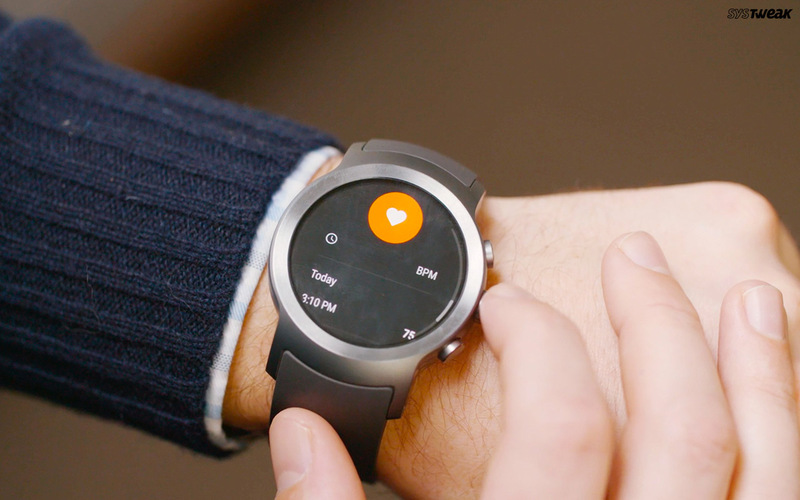 It personalizes your watch face to show your next appointment, your fitness stats and more. It has Bluetooth 4.1, has Wifi connectivity. It has IP67 water resistance. It is available in Rubber, Leather, Metal. You can view timely information and you can get your things done with a simple touch or voice command. It has an in-built pedometer, activity tracker, and progress reports help you achieve your fitness goals. It has 50 professionally designed watch faces, choose the one that suits you the best, or you can create your own watch face as well. It has Intel Atom processor. It has 1 GB RAM and has storage of 4 GB. It has 400 mAh battery. It has inbuilt activity tracking which helps you to track your everyday accomplishments such as steps, distance and calories burned. Whenever you get a notification, a gentle nudge on the watch will let you know about it right away. This touchscreen smartwatch has Android Wear 2.0 with interactive dials and user-friendly messaging interface. The battery stays for 25 days in normal use and Up to 5 days in workout mode. It has Bluetooth 4.0 technology. The watch comes in two sizes, a 36mm case, and larger 40mm version. It shows notifications and other things, such as alarm, email, calendar reminder, incoming call, text message along with other notifications which appear in fitness bands. Its circular digital display shows brief information about the notifications to keep you informed. It has a complete activity tracker that automatically recognizes your activities like walking running, swimming and sleeping. So, these are some of the best smartwatches available for Android. Choose the one you like and stay stylish and notified.